Home / NewsNow-1 / Has Issa Diop justified record-breaking West Ham move? 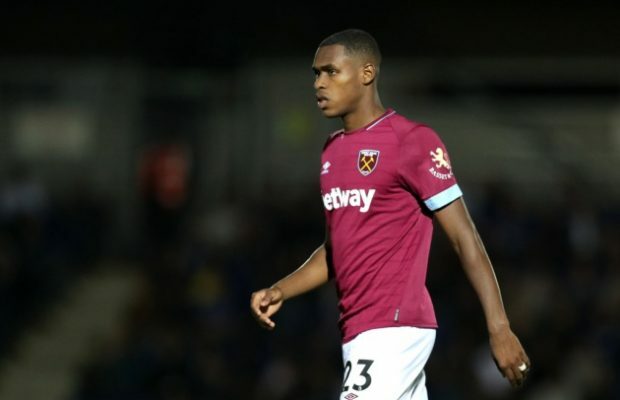 When West Ham broke their club record for Issa Diop last summer, the expectation was that the 22-year-old defender would plant a wall at the back. With the Premier League winding down, however, his performances have been flattery to deceive. After an utterly disappointing season, West Ham swapped David Moyes for Manuel Pellegrini. Alongside the Chilean, several new faces moved to the Olympic Stadium. Chiefly among them was lanky, towering Frenchman Issa Diop. Diop’s signing was surprising in every sense. The youngster was relatively unknown in England despite his rapid rising stock in France. The fact that the Hammers coughed out around £22m to sway him away from Toulouse caused further uproar. Diop was perceived as that last piece of the jigsaw to fasten the weak backline. West Ham struggled to find stability at the back under Moyes. Either Winston Reid was injured or Angelo Ogbonna, sometimes both. Either way, the Hammers strived with the ex-Manchester manager running to James Collins or Declan Rice. But the problem was while Collins was too old, the teenager appeared too young for such burden. However, in Diop, West Ham spotted the stereotypical Premier League rearguard. He is fast, powerful and intimidating. Standing at 1.94 metres, the 21-year-old dethrones Andy Carroll (1.93m) as the Hammers’ tallest player. The likes of Marko Arnautovic (1.92m), Reid and Ogbonna (both 1.91m) will have someone to look up to. Such imposing physical attributes comes with its own benefits. Apparently, Diop would be the top man during aerial duels at both ends. He will hardly be beaten in contests, except Cristiano Ronaldo is in town. It is a testament to his modest goalscoring return. Diop found the net three times in 34 Ligue 1 appearances last term. Even more impressive was they came from 19 shots – 17 of which were in set-piece situations. That tally was bettered by just Aaron Cresswell with 21 shots yet managed only strike. For France, Diop has equally used his height to great effect – with three for the U19’s. Diop didn’t depend on his physique to win balls, he fought for it. He made 43 successful tackles last season – nearly twice more than any of West Ham’s centre-backs. On the average, he picked up 2.2 tackles per game which rank among the highest in the Premier League. Experience is an extremely expensive asset that only comes with age. The young Frenchman arrived with plenty. He racked up just a little below a century of top-flight action since bringing through three years ago. He missed just four matches the entire last season. These traits may have vanished in London. Although some times flashes of brilliance came through, however, it did in patches. Diop has struggled to justify the huge outlay since his English foray. 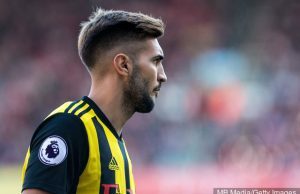 The defender played every single minute of every single game since he made his debut away at Arsenal on August 25 but found himself out of the starting lineup on Monday night, replaced by Fabian Balbuena. Diop took to English football like a duck to water, after he scored an own goal on debut obviously, and was lauded by former Manchester United boss Jose Mourinho as a “monster” when the Hammers saw off the Red Devils 3-1 in September. But he has been out of form for some time now and was particularly given the run around by Dominic Calvert-Lewin during Everton’s 2-0 win over the Hammers last week and the tired Diop has now paid the price. At 22, there’s still a long, bright future for Diop. But at the moment, he hasn’t quite lived up to the hype. Not at all. Next Story → Atletico Madrid: Has the Simeone Effect finally worn off?